Andy Grammer is an American singer-songwriter signed to Steve Greenberg's S-Curve Records. 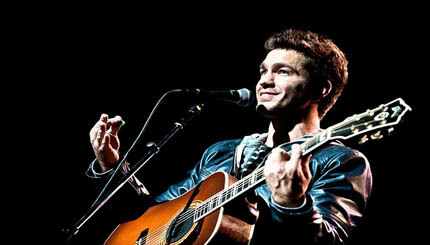 His debut album, Andy Grammer, was officially released on June 14, 2011. He was born in Los Angeles, but grew up in Chester, New York, graduating from Monroe-Woodbury High School. At 20, he returned to the Los Angeles area, where he currently resides. His father is Singer-songwriter, Red Grammer. In 2007, he graduated from California State University, Northridge, with a B.A.